Includes 13 courses for $499/year. The full course is 36 minutes long and available in a number of affordable formats. Recycled fiber passes through several stages of cleaning before it is ready to be re-made into new paper or board products. The physical characteristics of the screen basket in a pressure screen affect the performance of the screen. 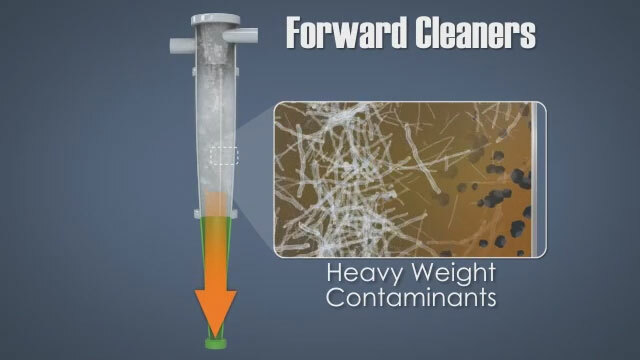 Forward, low consistency centrifugal cleaners remove small high density contaminants from the pulp. Wood fiber accounts for more than 90% of the raw material used in the production of paper and board products, and it can come from a variety of sources. These sources can be slushed virgin fiber that is produced onsite, market pulp from other pulp mills, or recycled/secondary fiber. In the "recycled" fiber category, the most difficult source to process is post-consumer waste. This fiber arrives at the mill contaminated with a variety of undesirable materials. This course will focus on how the fibers are cleaned and separated from the contaminants using the two categories of physical separation: centrifugal cleaning and screening. 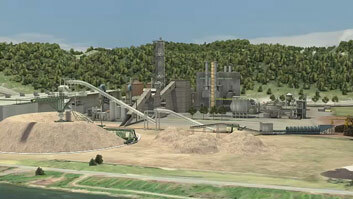 In a recycled fiber plant, where does the first separation of contaminants and fiber take place? 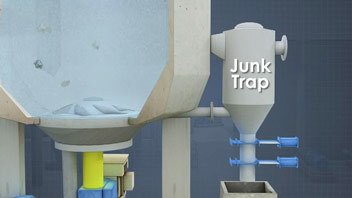 The first contaminant separation process happens in the repulper. What are the physical principles on which centrifugal cleaners are based? 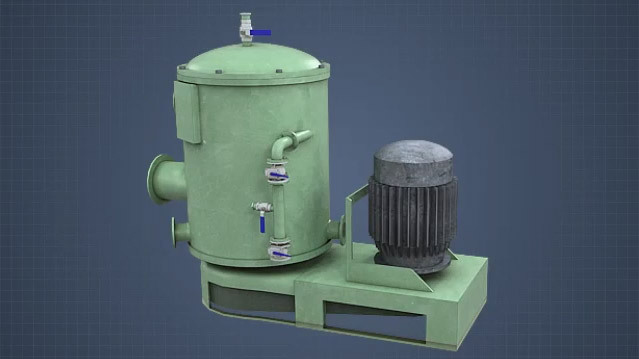 Rotational motion, centrifugal force and specific gravity differences between fiber and contaminants are the principles on which centrifugal cleaners are based. What are the physical principles that pressure screens use to clean fibers? 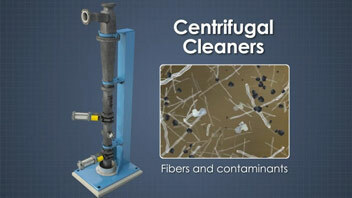 Pressure screens clean based primarily on the size difference between fibers and contaminants. What is the benefit of a cascade cleaner system? 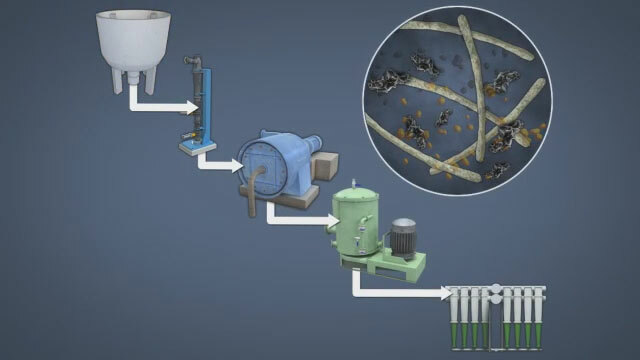 Cascade cleaner systems use multiple stages of cleaners to improve overall contaminant removal efficiency and to minimize fiber losses. 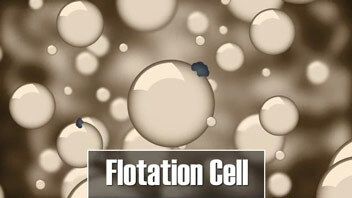 What is the difference between forward and reverse cleaners? Forward cleaners are designed to reject materials that are more dense than fibers, reverse cleaners are designed to reject materials less dense than fibers. Cylindrical screens consist of a cylindrical housing, a perforated screen basket inside the housing, and a motor-driven rotating rotor positioned either inside or outside the screen basket. 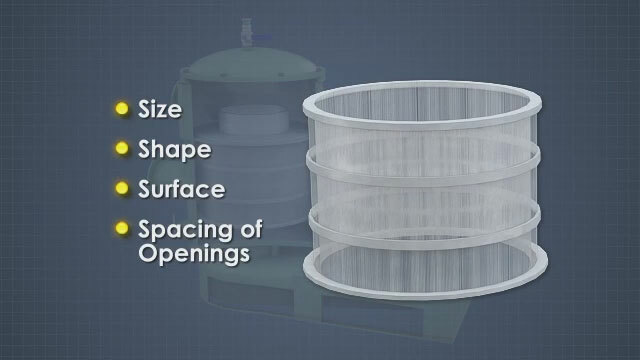 The screen basket is a stationary cylindrical sieve that can be characterized by the size, shape, surface, and spacing of its openings. The fibers must pass through the holes or slot openings in the basket walls in order to be accepted. So the characteristics of these openings greatly influence the performance of a screen. As the rotor spins, elements on the rotor, such as bumps, steps or foils create pressure pulses to help the fibers pass through the basket openings and prevent plugging. 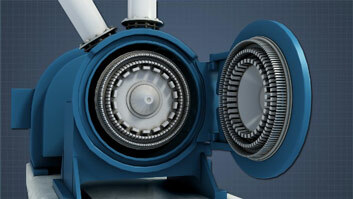 The types of contaminants present and the pulp consistency determine what type of rotor is used.